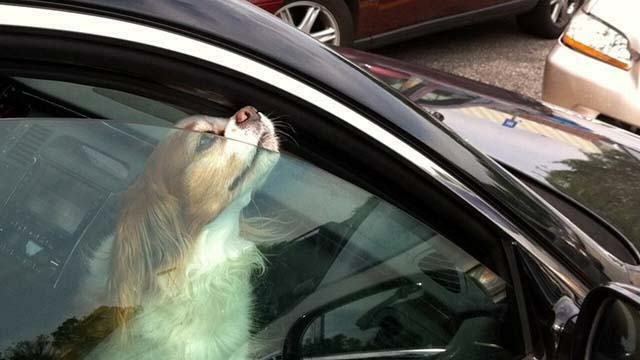 We hope you never have to be in the situation where you find a dog trapped in a hot car. But if you do, it’s important to have a few tips in mind before pulling out the crowbar and smashing a vehicle’s window. Common sense is the place to start, and being forearmed with some knowledge also goes a long way. 1. Know what the laws are in your area. Every town, state and province has their own rules when it comes to helping a pet in a vehicle in extreme weather. In some states it is illegal to break into a vehicle yourself – it has to be carried out by the authorities. 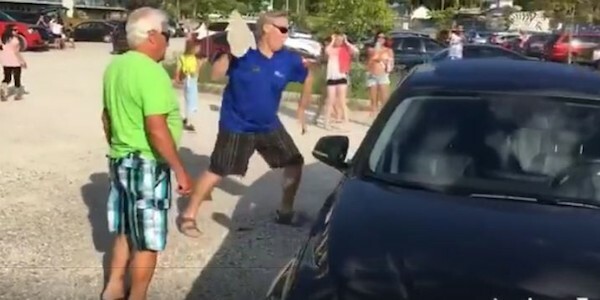 In other states, Good Samaritan laws allow people to break into a vehicle, as long as all efforts (including calling the authorities) have been exhausted beforehand. So, check with your local animal control or humane society to know the rules in your hometown. While you are doing that make note of the emergency numbers you should call and program them into your mobile phone so you will have them if you need them. 2. 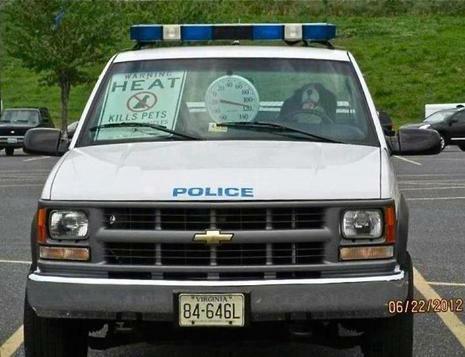 If you see a dog in a car on a hot day, immediately make note of the time. 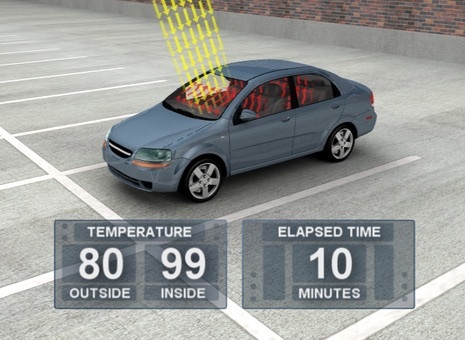 Also check to see if the car is running and has the A/C on. Some people do leave their pets in the car with air conditioning while they run their errands. If the A/C is on, you don’t have to worry. If it is a hot temperature, then every minute counts. 3. Make note of the car’s information. It’s recommended that when you see a dog left in a car, take down the vehicle’s license plate number, model, make, color. This can be used when you report the owner and also to help authorities identify who owns the car. 4. Try and find the owner. Go into the local businesses and notify a security guard or manager of the situation and request that they make an announcement over the intercom with the vehicle information to inform them their dog is in distress. If the owner cannot be located or does not come forward, the next step is to call the authorities. 5. Call the authorities. Have those numbers handy. 6. Monitor the dog while you wait. You want to see if you can determine the level of distress the dog is in. Is he/she panting heavily? Has the dog vomited or defecated? Is his/her tongue red? Is he/she becoming unresponsive and lethargic? The more descriptive you can be when calling the police or animal control the better. You also want to keep a close eye on the dog’s symptoms because heat stroke can escalate rapidly and you may need to make a judgement call if the authorities take too long to come. However, it is always advisable for police or firefighters to be the ones to break a window. In some cases, however, the authorities may authorize you to break into the vehicle if time is of the essence. 7. If help does not come in reasonable time, make a decision. If you think it is time to act, get a witness or two to stay with you before you take measures to free the dog. It goes without saying to try and open the car doors first, in case the car is unlocked. If you have to break the window, try having a emergency window hammer tool handy. 8. Once you have the dog, get him/her to a cool place and give them water to drink. Try to slowly lower the dog’s body temperature by placing them in cool or if you have a towel or cloth handy, wet it and apply it to the dog’s neck and groin areas. Call a vet for further instructions. Read more of what to do for a dog suffering heat stroke in our article “How To Identify Heat Stroke in Dogs”. 9. If you feel the dog needs to see a vet immediately, leave a note on the owner’s car window explaining where you are taking the dog and how they can reach you. 10. Awareness is key. If you think there’s a local business that should have signs reminding their patrons, politely ask them to hang them. Also if your town doesn’t have legislation to address this, or does not have a Good Samaritan clause, consider lobbying for one or find out how you can support your local animal rescue with their efforts to raise awareness!